Navy Blue Leather Shoulder Strap. A replacement strap suitable for a handbag. Available in navy blue as shown. This strap is adjustable from 25"(63.5cm) to 48 1/2" (123cm) long and 7/8"(25mm) wide. 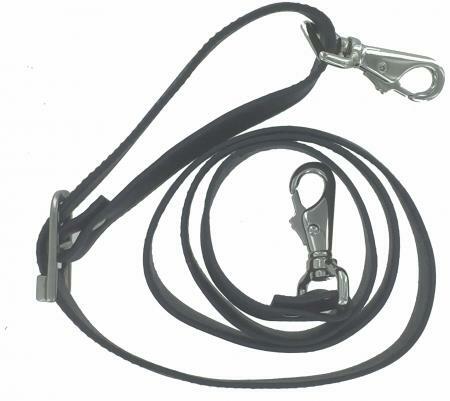 The strap is easily fitted with chrome/ gun metal trigger hook fittings and is made of top quality leather.